2018 is fast approaching and here are five fights that could make it an incredible year for the UFC. 2017 hasn’t exactly gone to plan for the UFC, but they’ve come back strong at the end of the year and there are a number of pieces slowly falling into place that could make 2018 very special. Here are five fights to look out for next year…. While not officially announced, this is the one fight on the list that you can bet your life will happen next year. Francis Ngannou’s knockout of Alistair Overeem will be replayed on UFC highlight reels for decades to come, but that could only be the start of his dominance. Stipe Miocic will no doubt be his toughest test to date, but from what we’ve seen from Ngannou so far, he could be the one to dethrone the champion who’s ruled over the heavyweight division since May 2016. Dana White implied he’d like this one to take place at UFC 220 on Jan. 20, but that’s all dependent on Miocic’s contract being worked out. Regardless, this should be fireworks when the two finally meet. This is the one fight that has a fighter already booked, but should Khabib Nurmagomedov come through UFC 219 unscathed, this has to be the fight to make. 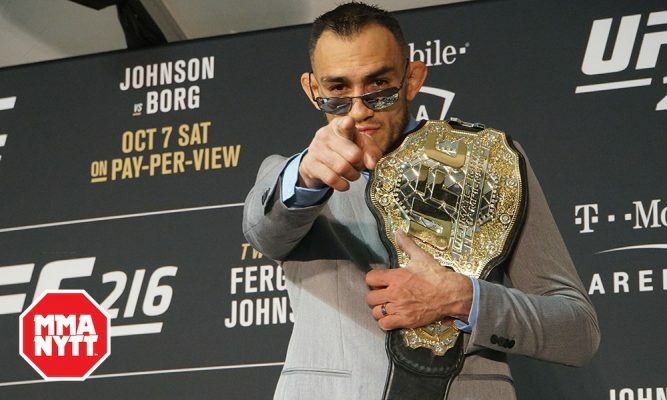 Nurmagomedov and Tony Ferguson were originally booked for UFC 209 last March, but when #TiramisuGate struck the Russian down, Ferguson was left high and dry without a dance partner. The tension between the pair only seems to get greater with time and should Nurmagomedov overcome Edson Barboza on Dec. 30, you can bet your bottom dollar that Ferguson will have a word or two for the Russian. Titles or no titles, this fight needs to happen sooner rather than later. Speaking of titles not being needed, Joanna Jedrzejczyk vs Valentina Shevchenko is another where UFC gold doesn’t necessarily have to be on the line. Both women are coming off losses in respective title fights and whilst they may have their eyes on getting in amongst the UFC gold once again, this would be a highly desirable detour to take should the UFC wish to let other challengers come to the fore. Shevchenko’s numerous wins over Jedrzejczyk in their Muay Thai days provides a perfect backdrop and storyline to their rivalry. In a perfect world, Shevchenko winning the women’s flyweight title off Nicco Montano would add a title into the mix, but truth be told, this is really one of those fights where a title adds little aside from the promise of five rounds. Book it up. Max Holloway is fast running out of opponents in the featherweight division, but one man he’s not yet shared the Octagon with is Frankie Edgar. 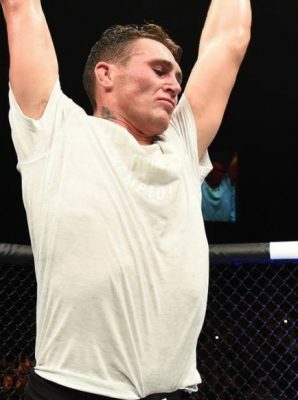 Of course, an Edgar broken orbital only kept the two apart this weekend, but with Holloway once again putting Aldo to the sword, Edgar remains as the only real fight for him to take at 145-pounds. As we found out in the lead to UFC 218 this week, the build-up between the two isn’t going to be anything special. That minor criticism aside, when the cage door closes this fight should make for a great stylistic matchup and given both men’s resumes it wont be a hard sell. The UFC shouldn’t hesitate rebooking this one. You might cringe at the sight of this, but don’t get it twisted, Conor McGregor vs Georges St-Pierre is easily the biggest fight on the table for the UFC right now. Given we’ve just seen St-Pierre compete at 185-pounds, the thought of him challenging for McGregor’s lightweight title may be a dream best left kept in 2016. The weight to make it at is 170-pounds and that would highly favour the Canadian. Other fighters would be put off at the thought of handing their opponent such an advantage, but in the world of McGregor, if it makes dollars, it makes sense. Like Mayweather vs McGregor, this isn’t a fight we necessarily all want, but it’s a fight we most certainly all pay to watch and that’s what matters for the UFC in 2018. Conor McGregor Fires Shot At Max Holloway Following UFC 218… Or Does He?